Can’t believe it’s been two years since my last post! Well I can blame it on a demanding job – two little kids and a super busy city life. However amidst all this my passion for cooking never died. I continued trying new recipes and improvising old ones. I now have a repertoire of my experiments, which I will continue to share every week. My mom has been the biggest influence on my cooking, which I believe is the case for most of us as well. Mom’s food has a magical effect like no other, it can satiate your cravings, heal you on a sick day and lift your spirits on a dull day. The special thing about this recipe is that it is easy to follow, healthy and requires few ingredients which are readily available at home. Make these Kababs in small size and serve them as appetizer, or make them the usual size and serve them with the main course. These freeze well, so I make a big batch and use them as a snack for my kids, or with parathas for dinner on a lazy day. 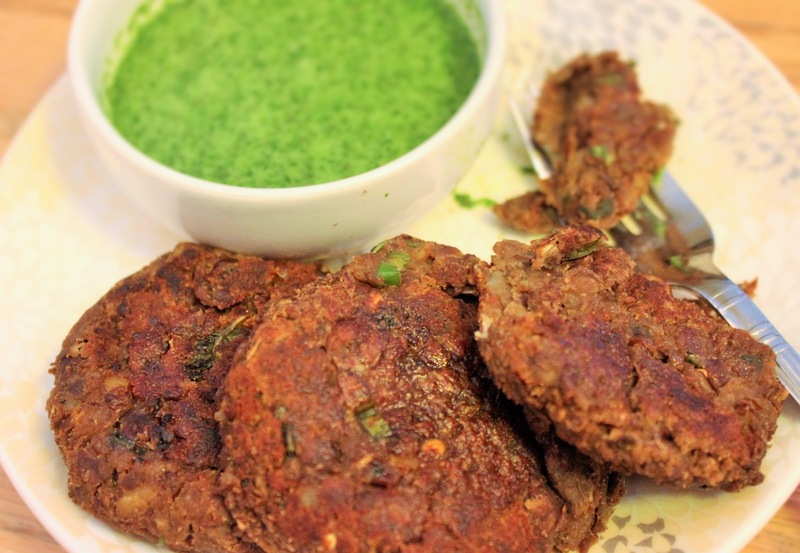 Do you have a recipe for delicious Kababs made from uncommon ingredients? Would love to receive and share your recipe on my blog. I am going to try making this…its wholesome and looks yum! By the way, the bay leaves are mashed into the puree is it? In the past I have been throwing them out after cooking. Yayyy…good to see your comments. Yes the bay leaves have to be tossed out, sorry should have mentioned that. Where did u used kewra water ? Why do you ask, I do not see kewra water in the list of ingredients?